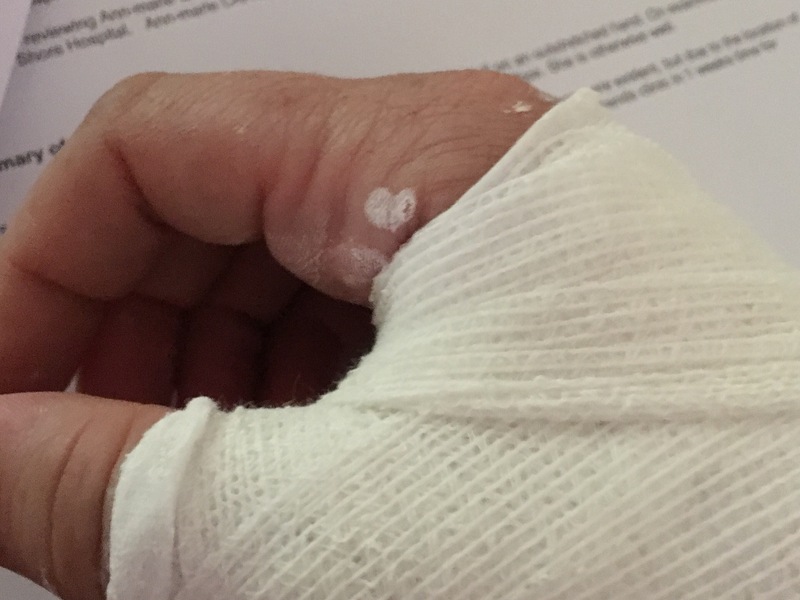 I am in a fair amount of pain, with a suspected broken wrist (scaphoid fracture). But nothing beats Children Live Action Shows. They are loud. 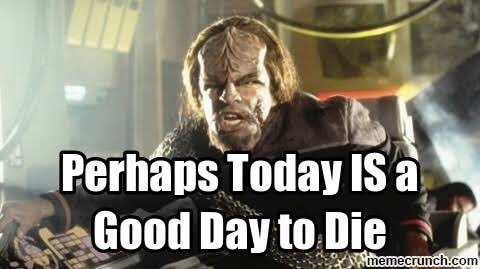 They are bright. They are full of spawnlings. If you bought the tickets yourself, then you deserve the torture. However some EG Grandparents are wily and take karmic parenting retribution in to their own hands. I know – I was threatened with Wiggle tickets a few years back. I was extremely grateful when gastro saved EG Inc from that disaster. If you can’t avoid it, at least we now have a Survival Guide, thanks to EG Parent Award recipient, Karen. Full of coping mechanisms and impact reduction methods, Karen’s advice will improve your chances of making it out alive. And if all else fails, at least you’ll have a good idea of what lies ahead. 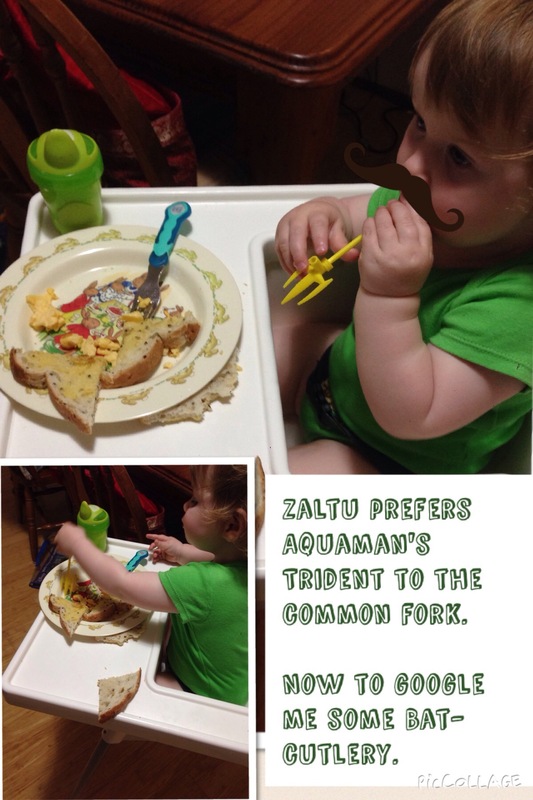 I’m sitting here watching Zaltu eat her lunch with Aquaman’s Trident. Yes, I did give her a fork. 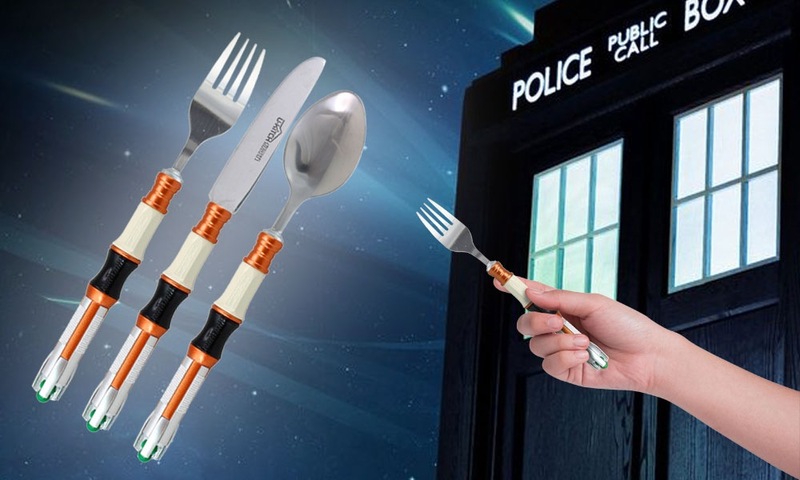 But why on Earth would she want a mere fork, when she can use Aquaman’s Trident? 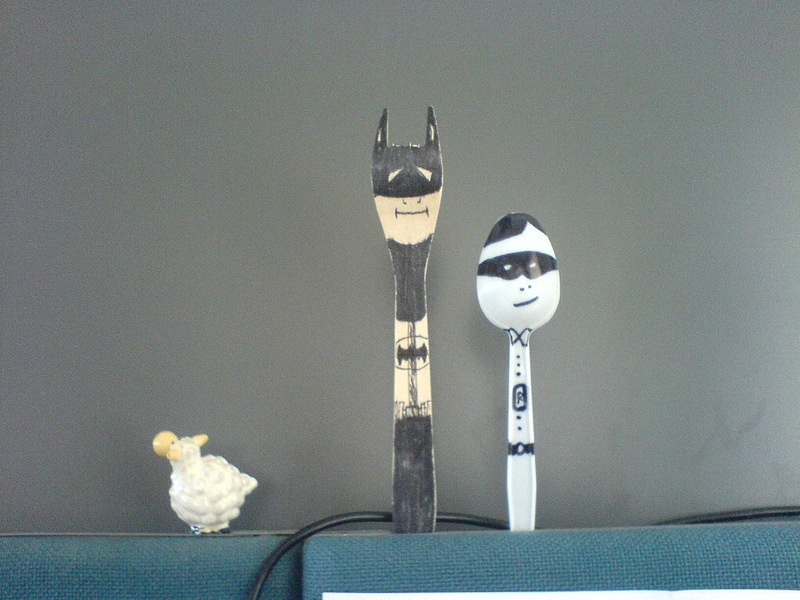 Which of course led to me googling Batman Cutlery. Because why would you settle for Aquaman’s Trident when you could have Batman cutlery? But would you believe it, I only found one that actually fit the bill. And it is very witty. Thankyou to mrparis over on Flickr. In the meantime, I think she liked the Trident. And I dare you to take it off her.